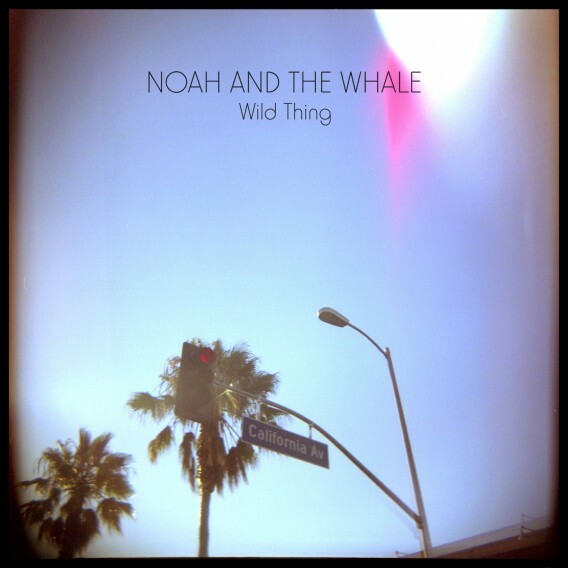 Noah and the Whale hailing from Twickenham, London have become one of my favorite new bands, especially after their sophomore album 'First Days of Spring' was released last year. It is a very intimate album that deals with Charlie Fink (lead singer for Noah's) break up with Laura Marling who was in the band for their first album 'Peaceful, The World Lays Me Down'. The 'First Days of Spring' was a detour to the overall sound of the their first album, but the band has said this is the new direction for upcoming albums. Noah and the Whale released their first film 'First Days of Spring' later in the year after the album came out and it is a beautiful 45 minute visual narrative to each song on the album. The extras on the CD/DVD include 2 live footage segments of them playing in a Brooklyn Loft at a very intimate gathering. No more than 20 people are watching and swaying to the beautiful tunes recorded in April 2009 and made me want to see them play live that much more. One of the segments begins with an little electronic, synth and guitar instrumental song that was obviously new material but then transcended into one of 'First Days of Spring's' new tunes. In the last song of the 2nd segment they start playing, "Rocks and Daggers" (Peaceful, The World Lays Me Down) and traveling through the loft, the stairs and out to the streets of Brooklyn with all of the attendees following them. I highly recommend the CD/DVD purchase, it is pure brilliance! Last week I read that they played their new single on BBC radio but because I don't live in England I couldn't hear it and I was dying to hear the new material! Last night I checked their website and was excited to see that I could play the new single, "Wild Thing" off of their upcoming release "Last Night on Earth" to be released in March 2011. The song is set up on a vintage tape deck that you can turn on/off, play, fast forward, rewind, download and change colors of parts of the tape deck...awesome! The first couple of seconds of the song I realized that this was the instrumental song I heard on the one of the live segments that I loved but carries through with Fink's amazing vocals. They have also just released another new track, "L.I.F.E.G.O.E.S.O.N." that is a bit more upbeat, but still carries a slow sound especially with Fink's baritone voice. Although this track is good and has a 80's Tom Petty feel, "Wild Thing" has already been played over and over! I have also added the video of my favorite track from First Day's of Spring, "Our Window", it is a very beautiful/powerful heart wrenching song. You said it "45 minute visual narrative"... SO UNDERRATED! Love Blue Skies. There is also a remix of the same by The Twelves (which you probably have heard), so good! "Our Window" is great and I am diggin' this new single. "Shape of my Heart' from 'Peaceful, The World Lays Me Down' is one of my faves, trumpets are one of my weaknesses. I sometimes put them on at the end of my runs. Such a great post (of course not to take away from any of the other great posts in OTR). thank you victor! from beginning till end, it is amazing! yes, i have heard the remix but for me, the originals are way better and take it out of the context that it is so strong in. the first album is also very good from beg to end and i absolutely adore them. damn that LIFEGOESON song is so damn catchy. Just made "Wild Thing" my "Swell Tune" today: http://mrshuffleupagus.blogspot.com/2011/01/todays-swell-tune-wild-thing.html If Lou Reed's "Walk on the Wild Side" were a photo, this song would be its negative.